On Sundays we meet at Linden Avenue Car Park (LACP) in Stirling to allow car sharing. On some walks we go by coach which allows us to go further afield or to do linear walks. Booking with the Walk Leader for these walks is essential and there is a charge for the coach. The Group arranges walking weekends away and our members also enjoy several social outings throughout the year. New and prospective members are very welcome but please contact the walk leader before the walk so that we know to expect you. For your first walk with us you are advised to choose one that might be “too easy” rather than overstretch yourself. There is no charge for your first few walks with us but you will then be expected to join the Ramblers Association. 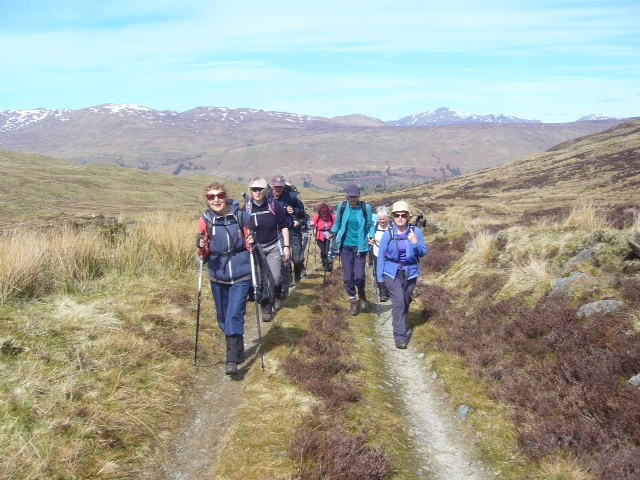 Join the Ramblers and become a member of Stirling, Falkirk & District Group.